Toulouse Streets was Arnaud Roche, who lived here as early as 1722. That house was presumably lost in the French Quarter fire of 1788. 1795. That structure survives today. Council and, also, as Director of the Louisiana State Bank. century. 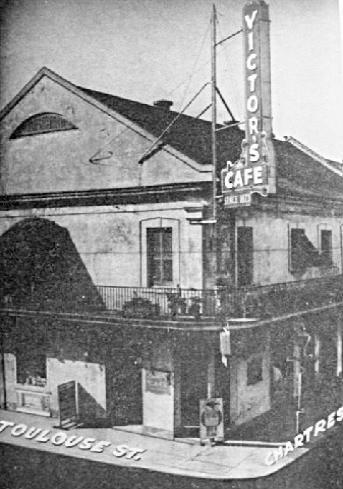 Tennessee Williams was among its notable customers. The Reynes House, in use as Victor's Cafe, early 1900's. beautifully renovated and became the Chartres House Cafe. a restaurant popular with both tourists and locals.